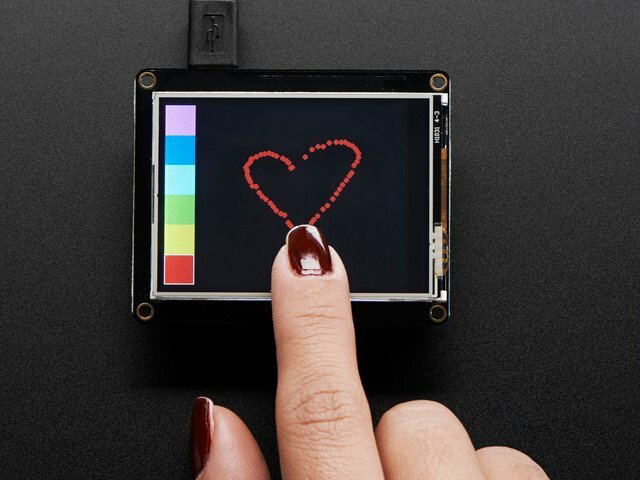 The Adafruit_GFX library for Arduino provides a common syntax and set of graphics functions for all of our TFT, LCD and OLED displays. This allows Arduino sketches to easily be adapted between display types with minimal fuss…and any new features, performance improvements and bug fixes will immediately apply across our complete offering of color displays. The GFX library is what lets you draw points, lines, rectangles, round-rects, triangles, text, etc. It covers the latest and greatest of the GFX library. The GFX library is used in both 8-bit and SPI modes so the underlying commands (drawLine() for example) are identical! This guide was first published on Nov 09, 2016. It was last updated on Nov 09, 2016. This page (Adafruit GFX Library) was last updated on Apr 21, 2019.